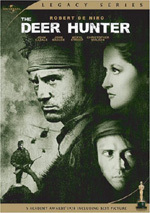 After directing two of the most extraordinary movies of the 1970s, Badlands and Days of Heaven, American artist Terrence Malick disappeared from the film world for twenty years, only to resurface in 1998 with this visionary adaptation of James Jones’s 1962 novel about the World War II battle for Guadalcanal. A big-budget, spectacularly mounted epic, The Thin Red Line is also one of the most deeply philosophical films ever released by a major Hollywood studio, a thought-provoking meditation on man, nature, and violence. Featuring a cast of contemporary cinema’s finest actors - Sean Penn, Jim Caviezel, Nick Nolte, Elias Koteas, and Woody Harrelson among them - The Thin Red Line is a kaleidoscopic evocation of the experience of combat that ranks as one of the greatest war films ever produced. $11.362 million on 1528 screens. One could call it the Close Encounters factor. When a movie in a certain genre hits it big, other films that can even remotely be compared to it will be seen in that light. After the unbelievable success of Star Wars during the summer of 1977, winter’s Close Encounters of the Third Kind was viewed as a companion piece of sorts, even though the two only marginally shared the same science fiction genre. A similar form of comparison happened in 1998 when two major films set during World War II hit the screens. The release patterns echoed those of 1977. Saving Private Ryan, the louder, more visceral and brash of the two, appeared first during the summer, while the softer, quieter, and more gentle partner - The Thin Red Line - wasn’t available until the winter. Inevitably, the two were compared to each other and Ryan was the clear winner in the public eye. It took in a ton more money - an ultimate gross of $216 versus the $36 million of Line - and also received critical notices that were largely superior. But was the broad, sentimental approach of Ryan really superior? In my estimation, yeah. The Thin Red Line is a film that’s lovely to look at but too self-absorbed and self-conscious for its own good. Let me state right off the bat that I don’t think Line is a bad movie by any stretch of the imagination. I can’t fault director Terrence Malick for his decision to take a different approach to the subject of war. Line provides some scenes of combat brutality, but it stands in stark contrast to the harrowing and graphic realism of Ryan; most of Line is rather dreamy and philosophical. And that’s one of my main problems with it. These must be the most introspective and thoughtful GIs to be found in WWII. All they do is think about the nature of man and war and moon over various topics. I expected them to ask the Japanese to put down their guns and settle matters in a debating contest, or perhaps through a game of Boggle. It’s a miracle we won the war with all of this contemplating! Despite what seems to be a very character-based approach, I never felt as though I got much of a feel for the participants. Oh, I know that often-AWOL Private Witt (Jim Caviezel) is the dreamy one who believes human existence is just a part of a much bigger canvas; he simply wants to swim with some Melanesian villagers and chill. Sergeant Welsh (Sean Penn) is the more cynical one who thinks this world is all we have, but don’t let that gruff attitude fool you into thinking he’s any less thoughtful than the others; he may focus on different areas but he still cogitates up a storm! Even bitter and apparently uncaring Colonel Tall (Nick Nolte) spends most of his time pondering reality, though he tends to deliberate mostly about himself and his crummy career. All that thinking made my head hurt. Is this a movie or Philosophy 101? I’m all for films that consider larger issues and aren’t just about blowing things up, but Line tries much too hard to be deep and meaningful. Ultimately, it seems like just so much hot air. Yes, war is cruel and dehumanizing - I need almost three hours of voice-overs to learn that? Line has other problems as well. Ryan suffered due to its one cameo when Ted Danson appeared in France; had this scene taken place at a bar, it might have worked, but the sudden presence of Sam Malone in khaki proved disruptive. However, that interruption seems minor compared to the Parade O’ Stars we witness in Line. Every time you turn around we find another Big Name Actor in a cameo. There’s John Travolta! Hey, it’s Woody Harrelson - shouldn’t he be in France with Ted? Look - I think that’s John Cusack, and didn’t I notice George Clooney addressing the troops? In Hollywood, sometimes you can become famous due to your lack of output. Between Malick’s 1973 debut Badlands and 1998’s Line, Malick produced exactly one other film: 1978’s Days of Heaven. That’s right - it took him 20 years to come out with Line. No, I don’t think he spent that entire time making the movie, though I felt as though 20 years had passed between the opening and closing credits. Nonetheless, when a director is so insanely slow to make a film, people decide he must be a Genius and they flock to him. Love it or hate it, Line was a prestige product and all of these big names wanted to be attached to it. Never mind that their appearances actually hurt the final result; they got to work with the legendary Terrence Malick, the man whose slow output made Kubrick look like Roger Corman! As I mentioned at the outset, I don’t truly hate The Thin Red Line, as it has some redeeming qualities. 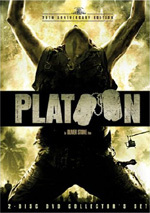 It’s an attractive film, and it deserves credit for attempting to take on the subject of war in an unusual manner. However, I ultimately think it fails more than it succeeds. War films can be thoughtful and deep, but that doesn’t mean they need to be dull; Apocalypse Now certainly proved that. In the end, The Thin Red Line is the cinematic equivalent of New Age music: lovely on the surface but pretentious and empty. 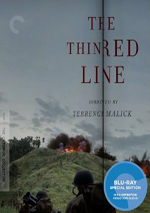 The Thin Red Line appears in an aspect ratio of approximately 2.35:1 on this Blu-Ray Disc. The movie came with a stunning transfer. Sharpness seemed excellent. Virtually no instances of softness marred this tight, precise presentation. Moiré effects and jagged edges caused no concerns, and I saw no artifacts or edge haloes. Source flaws also remained absent in this clean transfer. Line maintained a rather subdued palette with very few bright and bold tones; from start to finish, variations of green dominated the film. These seemed appropriately rendered and looked nicely clear and accurate with no problems related to bleeding or noise. Black levels were quite deep and rich, and shadow detail appeared fittingly thick but never excessively heavy or dense. All in all, I thought the movie looked terrific. I also felt impressed by the DTS-HD MA 5.1 soundtrack of The Thin Red Line. The soundfield appeared biased toward the front spectrum, though it definitely broadened as the movie progressed. The forward speakers offered a broad mix that seemed distinct and natural. Sounds blended together cleanly and they moved smoothly across the front channels. For example, during early battle scenes, I heard mortar fire fly across these speakers in a convincing manner, and that level of realism continued in the more active war sequences. Audio appeared accurately placed at all times. As I noted, surround involvement was modest during much of the first half of the movie, but when the rears became active, they contributed nicely to the movie. The surrounds kicked in a lot more information during the second part of the film as they became much more equal partners in the action. As with the front speakers, audio from the rear came across as well-placed and real, and the entire enterprise created a very convincing experience. Audio quality seemed very good. Dialogue was distinct and crisp without any signs of edginess or problems related to intelligibility. Music occasionally got a little buried in the mix but it usually appeared bright and smooth with nice dynamic range. Effects seemed clean and realistic, and they often packed a serious punch. Bass response always came across as deep and tight, and the low end added a lot of depth to the track. Ultimately, I found the soundtrack of Line to present very satisfying experiences. How did the picture and audio of the Blu-ray compare to those of the prior DVD? Both showed improvements. The audio was more dynamic and full, with a better-depicted soundscape. The visuals seemed sharper, cleaner and richer. This was a considerable upgrade over an already pretty good DVD. The Criterion Blu-ray includes a selection of extras. We open with an audio commentary from production designer Jack Fisk, producer Grant Hill and cinematographer John Toll. All three sit together for this running, screen-specific look at locations and sets, cinematography and sound design, cast and performances, themes, tone and style, working with Terrence Malick, editing, period details, and other production areas. The absence of Malick will surprise no one, but this trio compensates well. They cover a wide array of moviemaking subjects and do so in a clear, informative manner. They manage to stay involved through the entire (long) film and turn this into a valuable piece. Four featurettes follow. The Actors’ Perspective runs 33 minutes, 35 seconds and includes remarks from actors Kirk Acevedo, Jim Caviezel, Thomas Jane, Elias Koteas, Dash Mihok and Sean Penn. They discuss their reactions to the script, auditioning, training, period details, working with Malick, aspects of their characters and performances, and general thoughts. All of the performers offer good insights, and it’s especially nice to hear from Penn, as he doesn’t often indulge in this kind of piece. We learn a lot in this tight, enjoyable show. Similar subject matter appears during the 17-minute, 58-second Casting featurette. We hear from casting director Dianne Crittenden as she discusses how she found many of the actors. The program also shows snippets of audition footage, many of which show known performers who didn’t get roles in the film. Those provide the most intriguing aspects of the piece, though Crittenden also brings out some useful details. Editors goes for 27 minutes, 21 and includes notes from editors Leslie Jones, Saar Klein and Billy Weber. They chat about – surprise! – editing the epic, and they also go over working with Malick, sound design and some script/story issues. This piece seems drier than the first two, but it still offers a lot of good information and lets us look at the intricacies of the film’s construction. Finally, Music runs 16 minutes, 29 seconds and offers notes from composer Hans Zimmer. As expected, he talks about the film’s score as well as his collaboration with Malick. Like its predecessors, this turns into another useful chat. A collection of eight Outtakes fills 13 minutes, 23 seconds. These include “Witt and Storm Drunk” (1:32), “Bead Volunteers His Squad” (1:22), “Mazzi Drunk” (2:03), “Bead Kills a Japanese Soldier” (1:10), “Witt and the Sniper” (1:44), “Japanese POWs” (1:49), “Bell and Bosche” (2:07) and “Fife Leaves” (1:36). Most of these expand on secondary characters, and they prove to be moderately interesting. George Clooney’s cameo gets expanded here as well. Next we get a Kaylie Jones Interview. This 19-minute, five-second piece features the daughter of novelist James Jones as she discusses her dad’s background and aspects of the book. Chalk this up as a good conversation that sheds light on Jones’ father and his work. Guadalcanal in Newreels occupies 15 minutes, 18 seconds and presents five clips. We find “The Battle for the Solomons” (2:07), “United Nations Smash Japanese in South Pacific” (4:26), “US Marines on Guadalcanal Push Back Jap Troops” (4:36), “Jap Ships Smashed at Guadalcanal” (2:25) and “Guadalcanal Victory Garden” (2:44). These offer good historical value. In addition to the film’s trailer, the disc finishes with six minutes, 47 seconds of Melanesian Chants. Accompanied by photos from the film’s production, this piece offers native music. It’s not anything I’d like to hear again, but I appreciate its inclusion. Like virtually all other Criterion releases, Line comes with a booklet. This 40-page text provides essays from professor/critic David Sterritt and author James Jones. 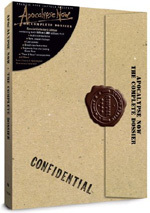 Criterion always produces excellent booklets, and this one’s another winner. While I won’t call The Thin Red Line a bad film, it’s definitely not one that appealed to me. I’ve now seen it three times, and though I appreciated it more with repetition - once freed from the expectations I had prior to my initial viewing - I still found little in it to sustain my attention or involve me. I thought it was lovely but ultimately empty. The Blu-ray provides excellent picture and sound as well as a god collection of supplements. Line is a polarizing “love it or hate it” movie, but fans will be exceedingly pleased with this top-notch release.